Free Spins is win with 3 or more Fan Scatters or Princess Wilds left to right. During free spins enjoy sticky Wilds and Free Spin Retriggers. Step into an beautiful enchanted world of ancient Japanese blossom trees and golden dragons in this 40 payline pokies game by Quickspin. 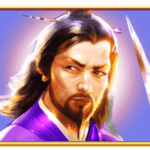 In this slot players are presented with a stunning geisha like warrior as she battles evil emperors on her way to win big. 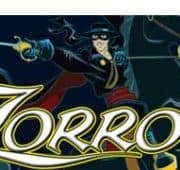 This pokie includes some very exciting bonus features including Sakura Fortune Respins, free spins and a mystery nudge bonus. 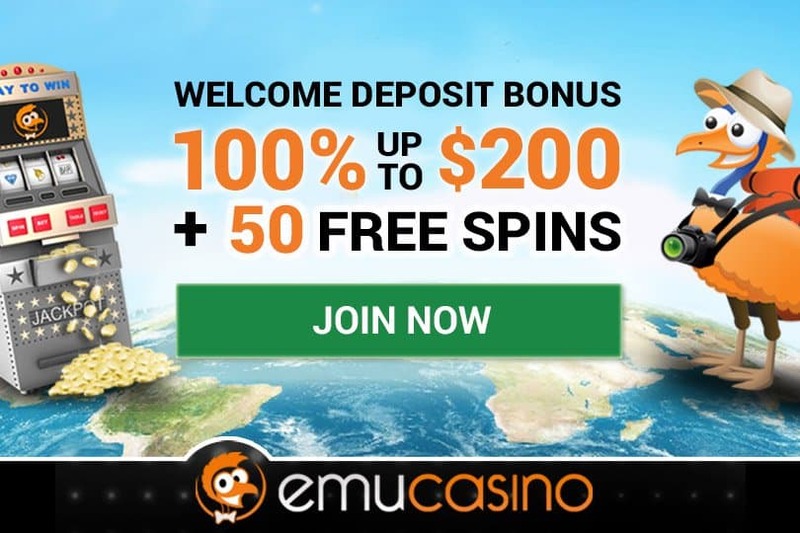 You can enjoy this game at the Emu Casino with Australian theme and modelled on Japanese Manga. Quickspin has also rolled out the innovative new Achievements Engine in this game. 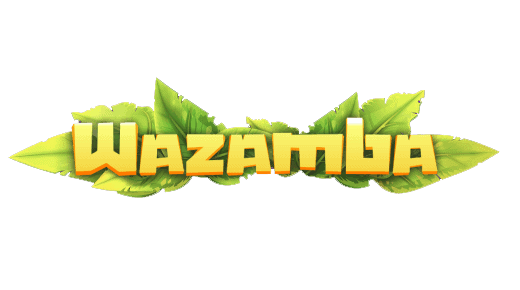 During any session players complete stages within the game in return for tokens that can be cashed-in to gain access the pokies bonus. 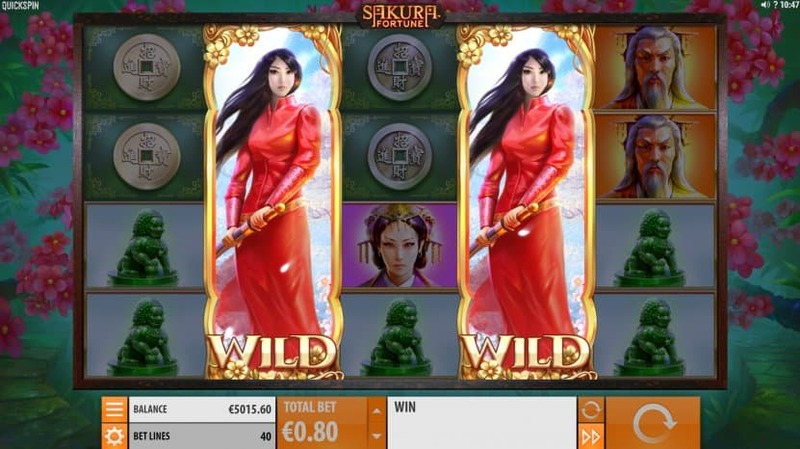 Sakura Fortune RespinTo win the Sakura respin feature players need two full stacks of Princess wild symbols on any payline. The total number of respins relates to the number of wilds on the reels when triggered. 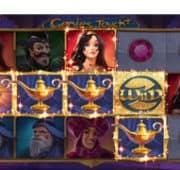 Hit another Princess Wild of Fan scatter to trigger Free Spins Bonus. 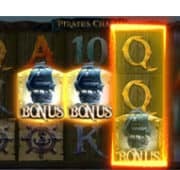 Three or more consecutive scatter symbols from left to right on a single spin wins the free spins. Like most Australian style pokie machines the free spins are no doubt one o f the most exhilarating feelings to win. During free spins, any Princess wild symbol that lands on the reels will expand to cover the full reel. This creates some serious winning opportunities and no doubt your gaming experience will result in big wins when this happens. As an added bonus reels remain sticky with wild for the duration of the free spin. It will also award an additional free spin. Any time multiple Princess wild symbols land there is a chance they nudge into a full stack to hit free spins and winning combinations. Sakura Fortune could be one of the very best pokies to be released in recent history. It certainly rivals most of the Australian Aristocrat style pokies.